In my previous post I wrote about terrestrial bromeliads, a group of plants that can make beautiful, even majestic attention-grabbers in your garden while being perfect companions to many drought resistant plants. 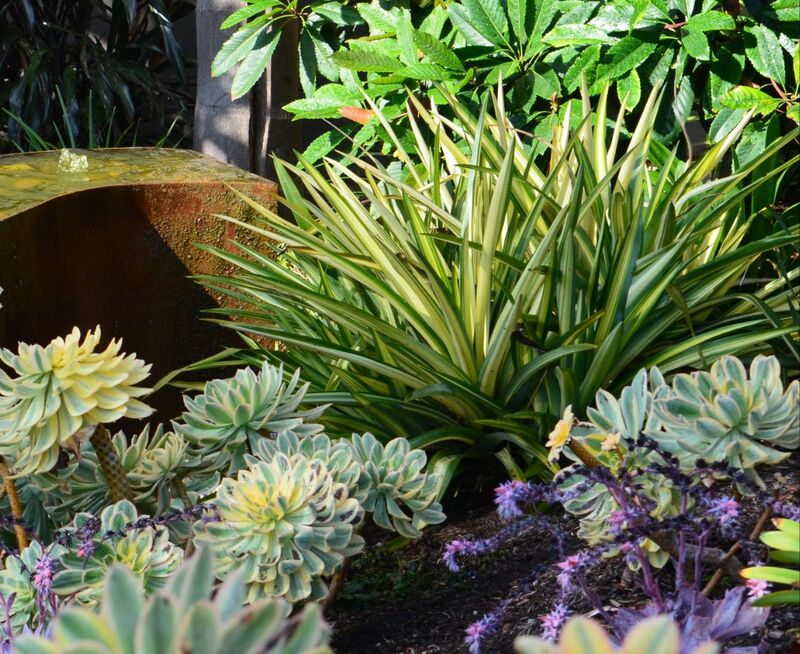 Their form, foliage and colors lend themselves very well to be paired with succulents, cacti and other low water plants in the sustainable landscape design. Bromeliads can be attractive specimen in the difficult areas of your garden, such as in hot reflected light or one that hardly sees any as on the north side of a house, under the eaves. With this ability to do double-duty they can therefore be a great help with the tough spots when you design your landscape. However, it can take years before they reach maturity and bloom; some produce flowers that stay on the plant for months or even years. 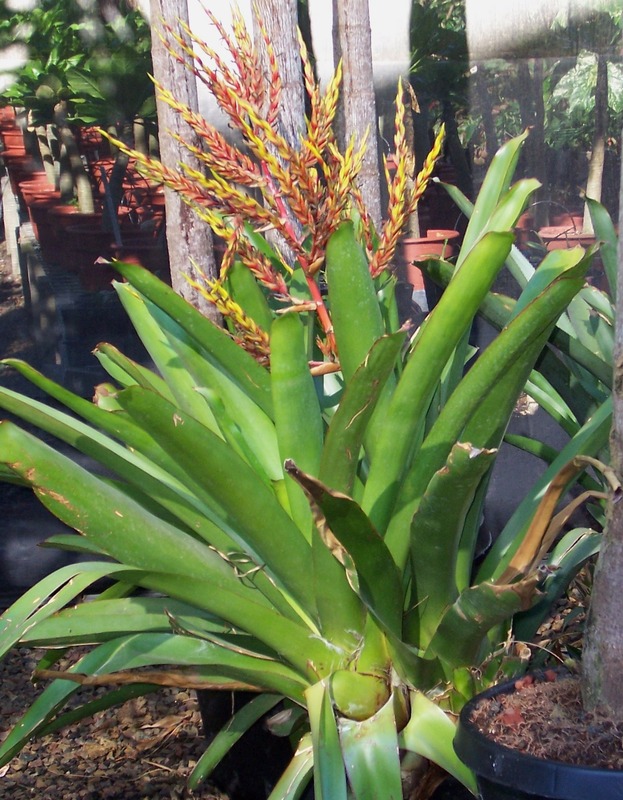 Some grow “pups” or “offsets” before bloom; others grow these after the mother plant is done blooming and can now direct “her” energy into producing pups (some bromeliads also grow seeds). So for the one mother plant, you’ll probably end up with between 2 and 5 smaller plants once bloom has finished,. These offsets can be cut or dug up and re-potted. 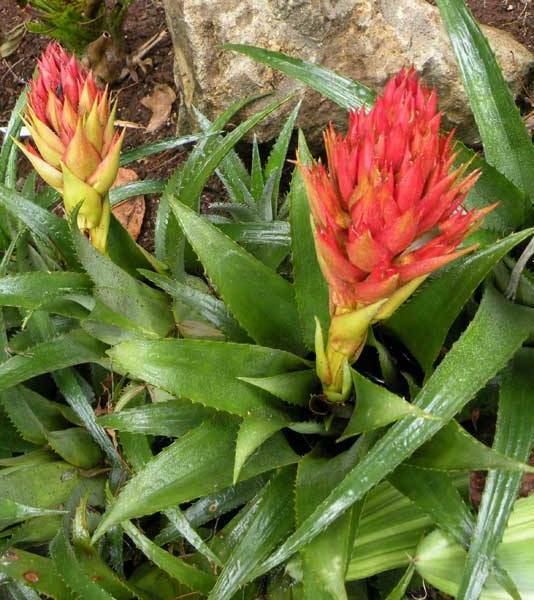 For some of the bromeliads, especially the larger Vrieseas, I’d suggest to buy a larger plant to replace the mother plant as it take a few years until the offsets have reached the parent’s size..”. Here now are the ‘toughies’ that I was talking about and see whether you can’t find one that would bring pizzazz to your garden. 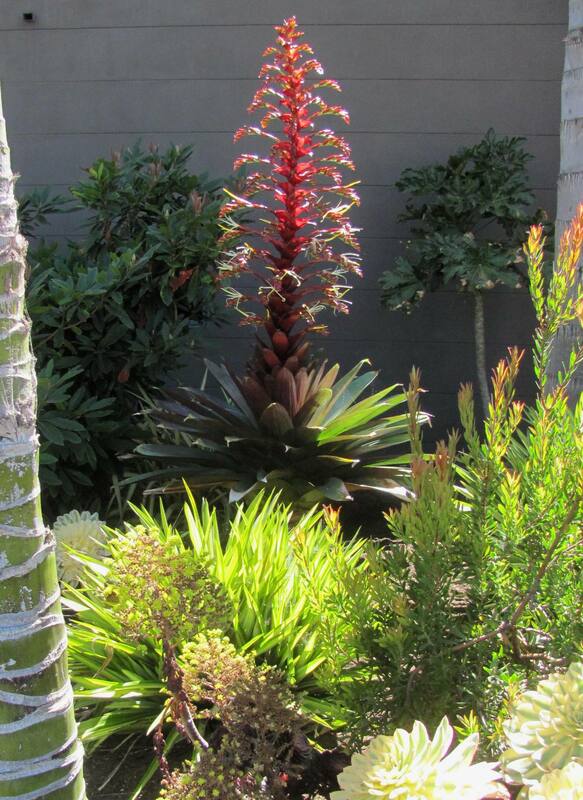 The Vriesea imperialis in bloom is an unforgettable sight. 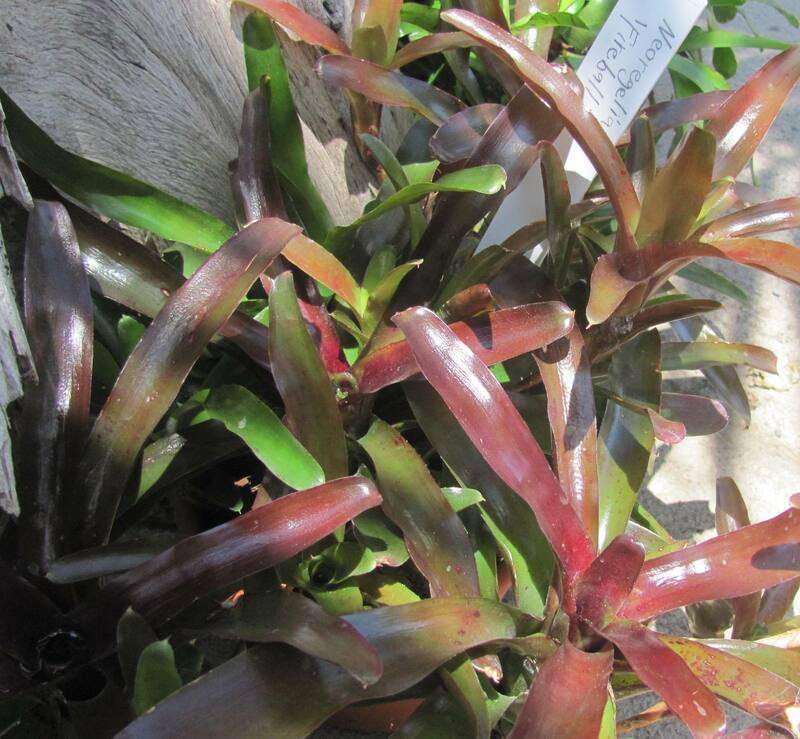 The Vriesea imperialis (now classified as Alcantarea) is regal bromeliad with leathery, green strappy leaves with a deep wine-red tinge to it that intensifies in the sun. It is spectacular plant even when not in bloom because of its perfect form that relies solely on its rosette, and is as such a good companion to a modern/contemporary design. When it has reached its mature size which can take several years, it produces a giant inflorescence (flower stalk) that reaches up to 10 ft into the air and lingers for 4-5 months. 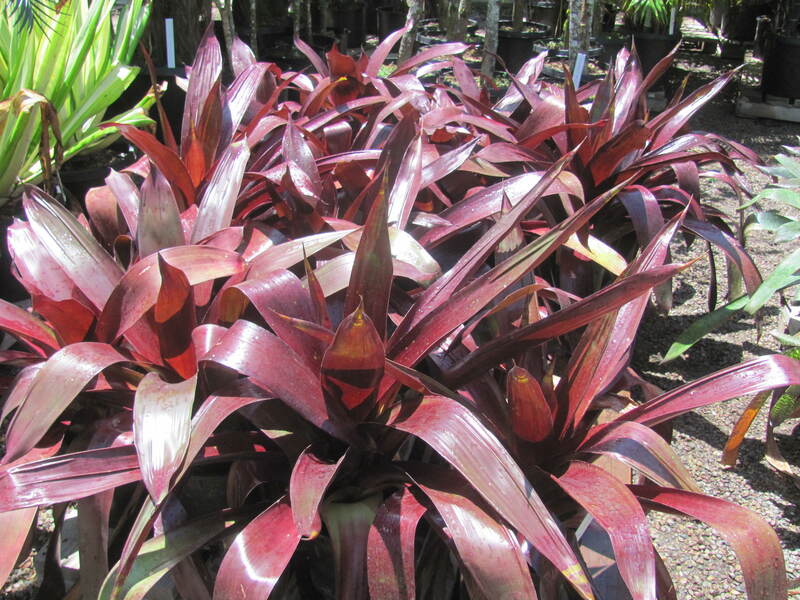 More bromeliads for the sun are the red Neoregelia ‘compacta’ and Neoregelia ‘Fireball’; they won’t get bigger than 1-2 ft wide and tall, and it’s the sun that brings out their red coloration, but they can also tolerate partial shade (which will make them greener). 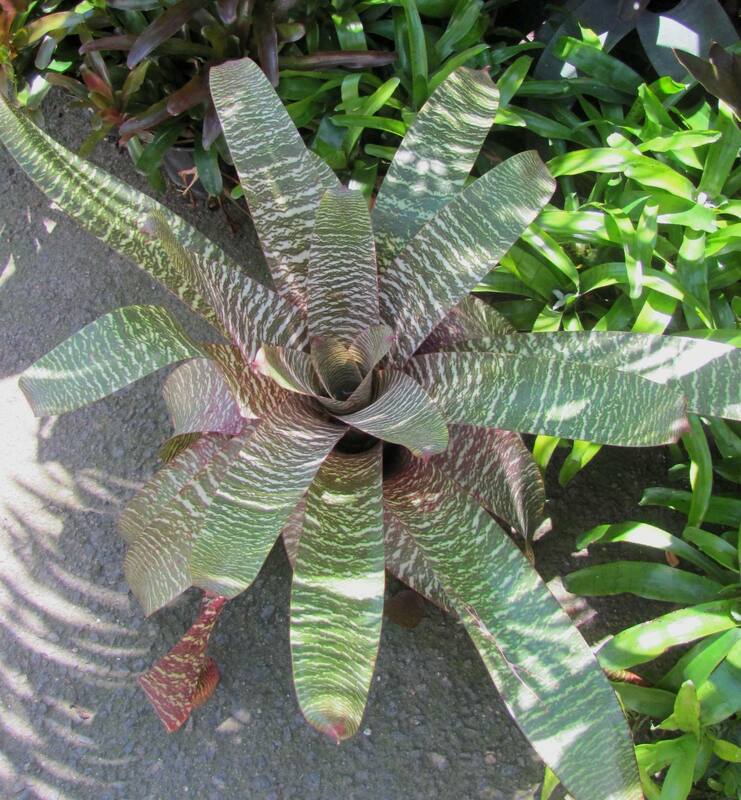 Neoregelia pauciflora is nice and apple green that stays the same in sun or shade in cooler/more moderate climates; in a hot inland valley it will probably prefer the dappled shade under a tree – you might find it’s worth a try in your location. 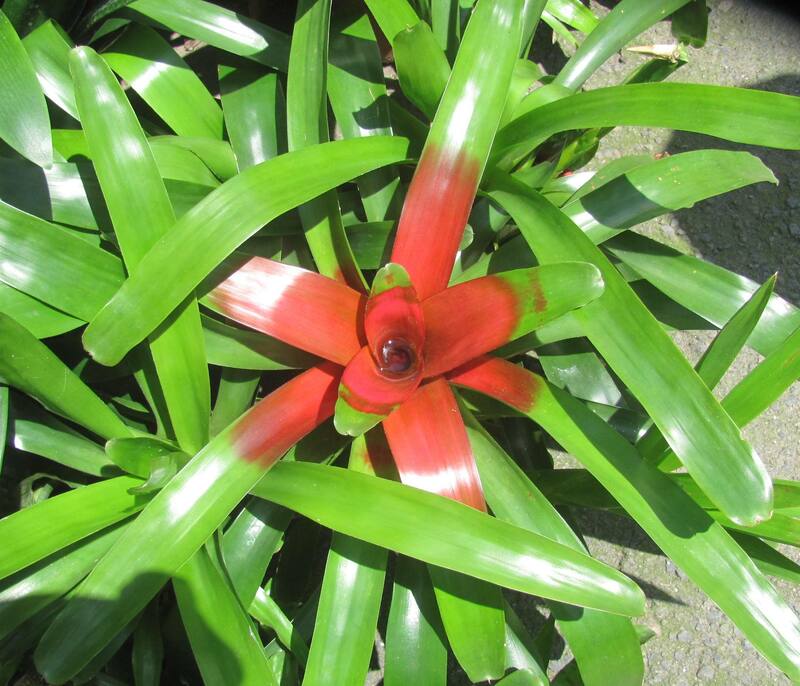 For these bromeliads applies that the sun brings out their coloration. They can reach up to 2 ft across, spreading slowly by “offsets” (called “pups” with succulents) their flowers are short in the cup. They have most spectacular colorful foliage. The Aechmea blanchetiana is a striking one with its apple-green foliage forming a rosette, up to 2-3 ft tall and 3-4 ft wide, slowly widening. Its “sister’ Aechmea blanchetiana ‘Tangerine’ will intensify its orange hues with more sun exposure. 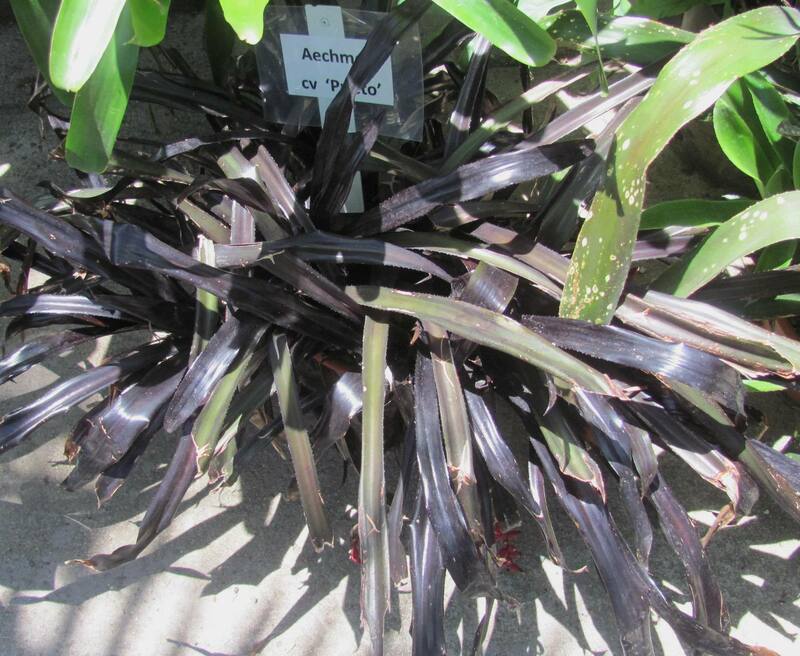 The Aechmea cv. 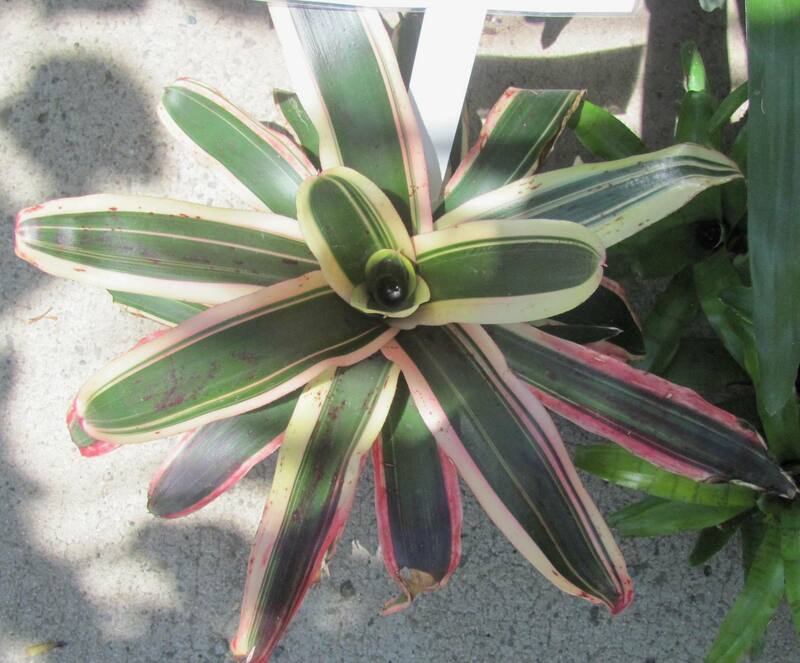 ‘Prietro’ is a bromeliad with almost black foliage black that produces striking orange red flowers. This would make a great companion to purple or chartreuse and yellow succulents, and it likes the full sun. Size: smallish, 15-18 inches tall, by 18×18 inches wide. Aechmea comata ‘Lemon Lime‘: This is one that can take any exposure and has the perfect size of 2-3 ft x 2-3 ft.
Aechmea recurvata, another one for the sun, short 1-2 f x 1-2 ft. Beautiful and striking when planted in masses. The Bilgerbia Baton Rouge is one for the worst sites: heat (even reflected), sunny. It can therefore be easily paired with cacti and some succulents. It will grow with vase-shaped rosettes that are about 12 inches across and to 24-30″ tall, and will slowly form an ever widening clump. 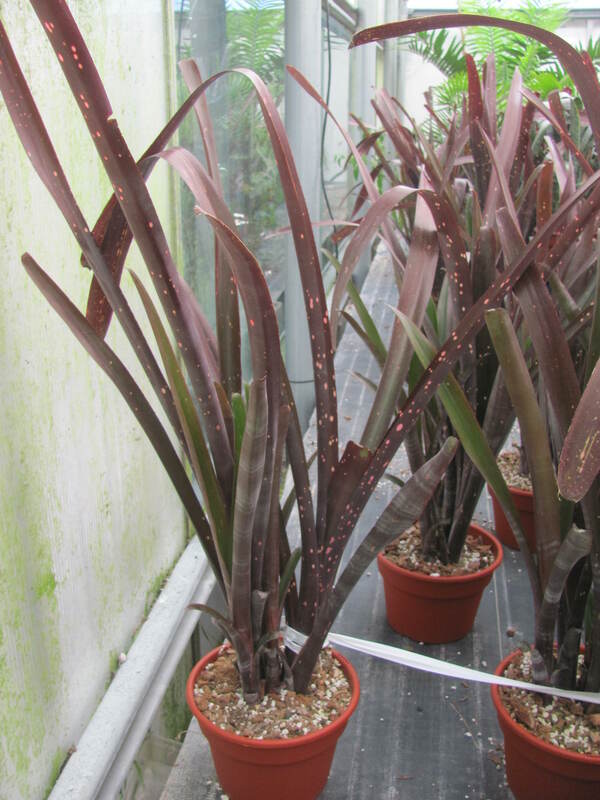 The Vriesea sanguinolenta is also a stately plant. This one prefers the dappled shade. It can grow to 3 x 3 ft. The Vriesea fosteriana is another interesting one,with its marbled strappy leaves. It forms a rosette to 2-3 ft large. Here’s one that can do both: Shade or sun. 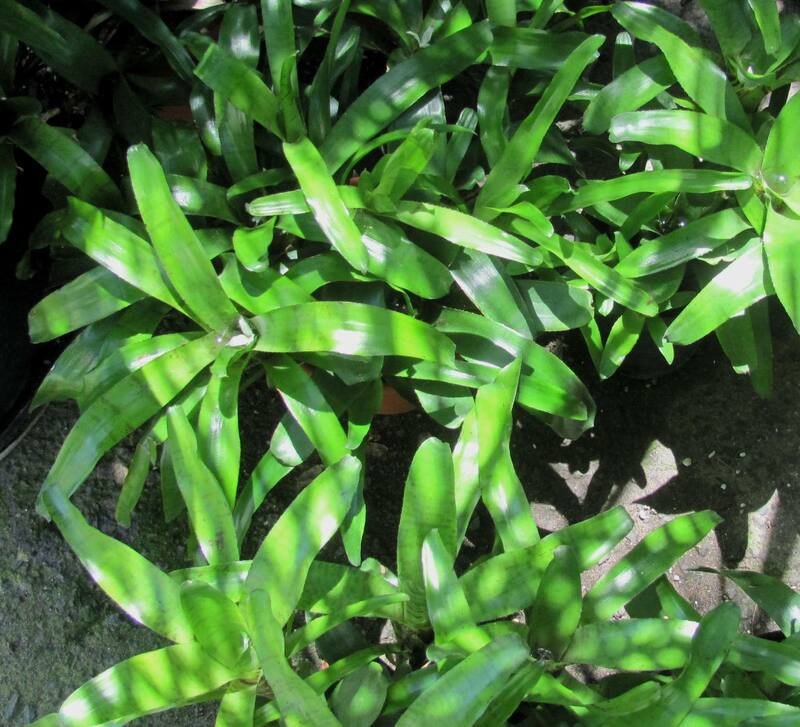 Is the modest sized Neoregelia ‘Magic Star Mint’. Its size is 1-2 ft x 1-2 ft (with slowly ever widening clumps). 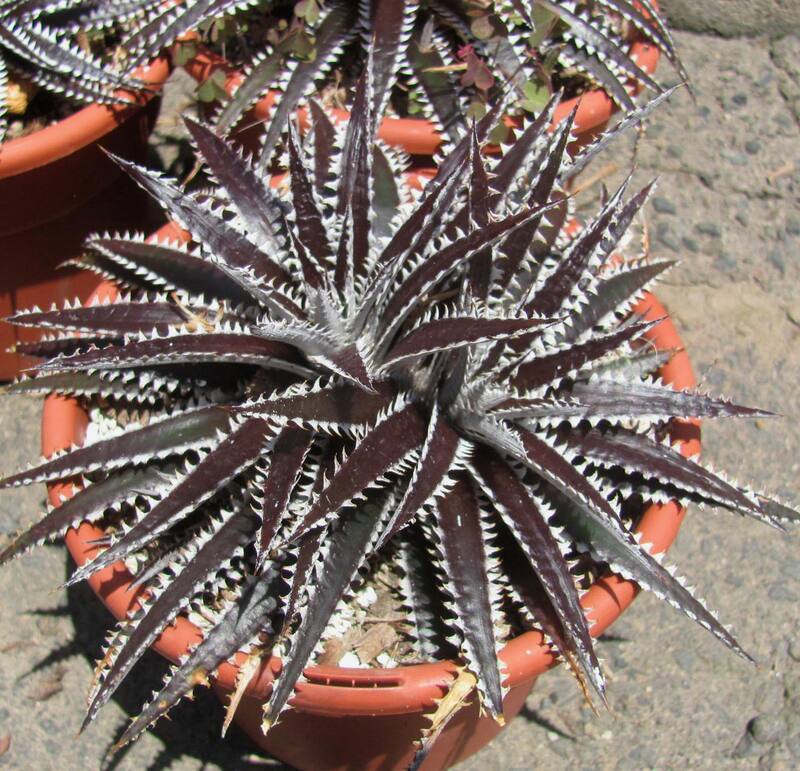 From the Bromeliad family: Dyckia fosteriana hybrids ‘Brittlestar‘. It’s suitable for bright light, full sun or shade. 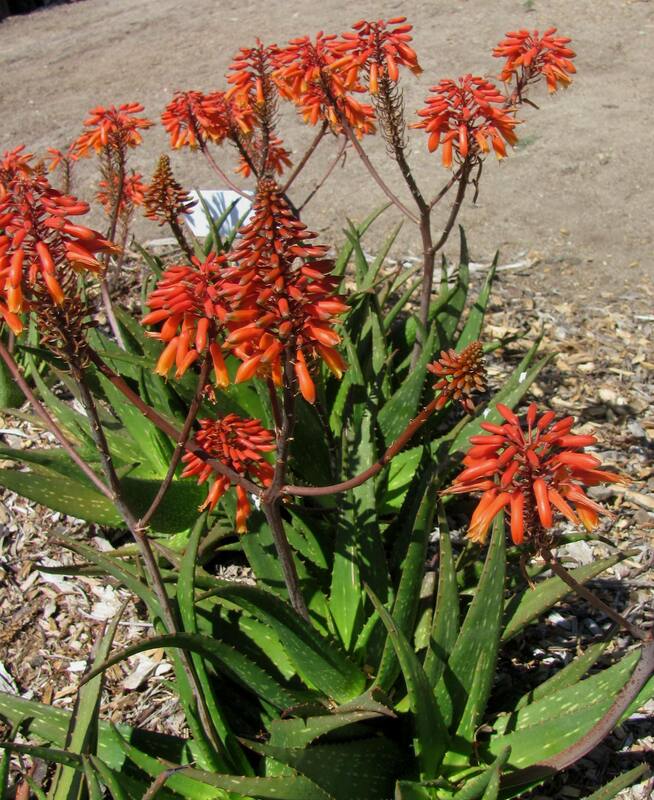 Dyckias are succulents from the bromeliad family that form small clumps to about 8 inches by 8 inches, slowly widening, that bloom with orange flowers on a 2-3 upright, slightly branching inflorescence (here: flower stalk). With stiff and thorny leaves, prefer rocky and/or sunny areas and have a natural tendency to clump leading to thick, large mats. It’s cold hardy to 20-25 °. Don’t forget that all these bromeliads are un-demanding in their water-needs and fit beautifully into xeriscape designs. 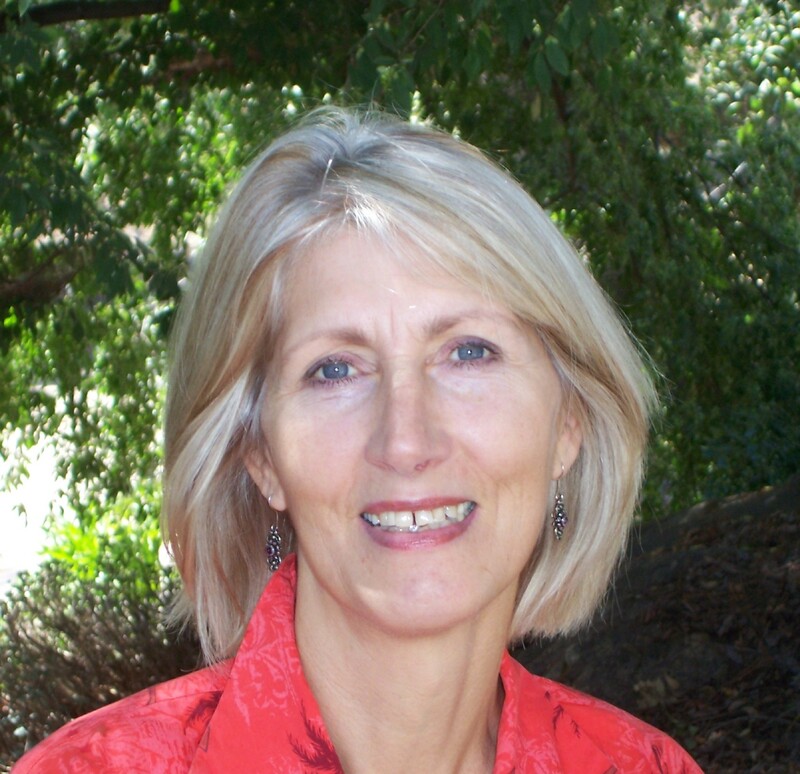 I thank Eric from Rancho Soledad and deeply appreciate his generous help with this article! 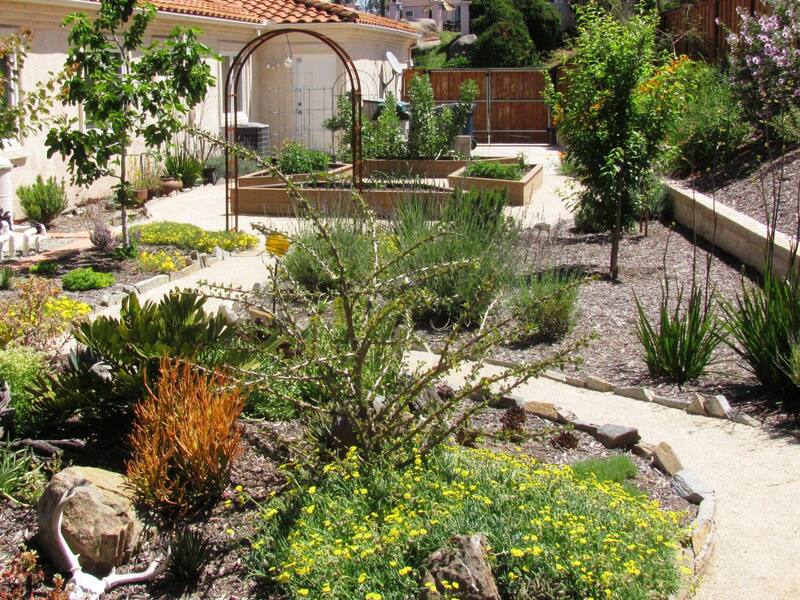 What comes to your mind when you hear the term ‘xeriscape landscaping’? Drab, color-less expanses of thin blades, sharp spines, gravel and dusty mulch? Blue-gray foliage with some pale shriveled-up flowers? I exaggerate of course. But have you noticed how in our lovely county, when it’s summer in earnest, and especially around noon, many plants seem to “hold their breath”? Their colors look faded and washed out in the glaring sunlight; some stop blooming, curl their foliage or actually shed it. In my garden, my very controlled watering régime is only half to blame (after all, I’m gardening with drought tolerant plants); for many of my Mediterranean plants it’s summer dormancy, their genetic response to the intense light, extended drought and heat. Royal Queen is an attractive answer to our water crisis. 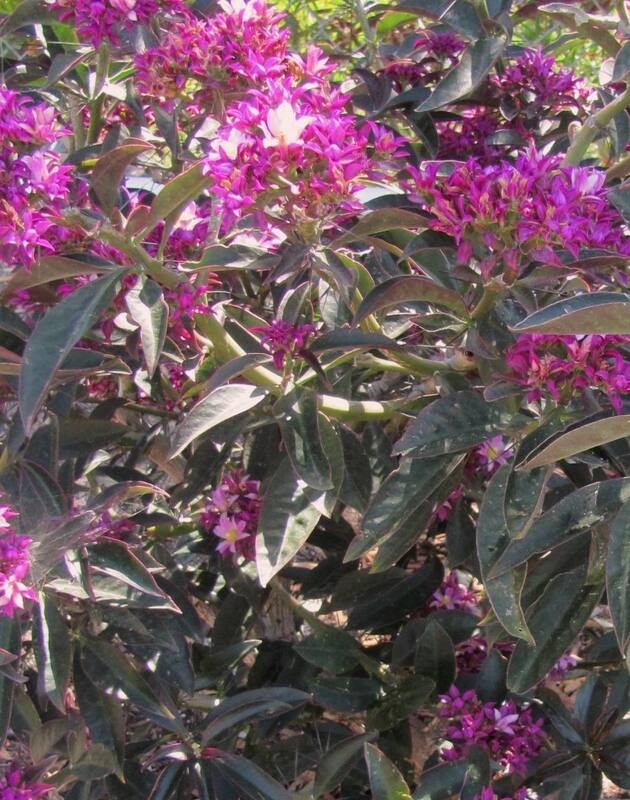 With glossy evergreen foliage (that hides its thorns – it’s in the cactus family after all) and clusters of orchid-like purple flowers from late spring to fall, this shrub lends our low water landscaping a colorful and “royal” touch. 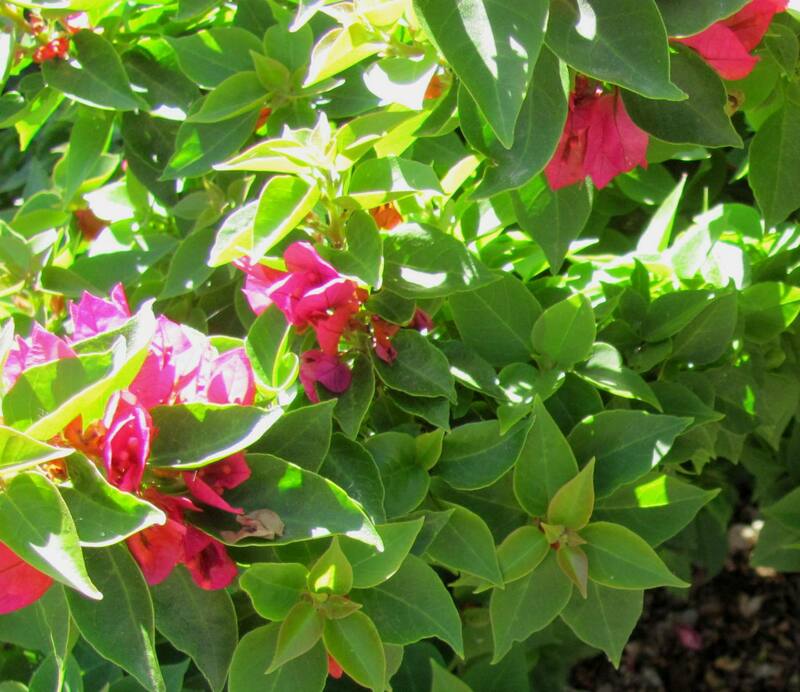 It likes regular watering but is equally tough in dry conditions, partial or full sun. It’s partially deciduous in winter and tender to freezing temperatures. Uses: With its size of 3 to 4 ft in height and width, I’d use it as center of a flower bed design, as specimen, (in winter, when it’s partially deciduous, I’d distract from it with other green or flowering plants); or I’d use it in mass plantings where its sparser look in winter is not a problem. I’d also use it in a container if it can be rolled out of sight in winter. 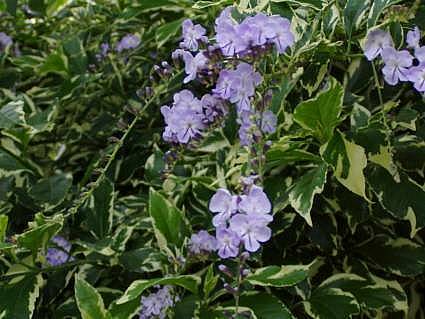 Shiny leaves with bright green and cream variegation, drooping clusters of lavender blossoms in spring to summer make the Brazilian Skyflower an attractive large shrub that grows to 12 – 15 ft tall by 8 ft wide but can also be trained into a small tree. It thrives in the heat, sun or part sun. It needs regular water (as in every 10 days or so), and it’s hardy to the high 20’s. A note to gardeners with children: This plant produces yellow berry-like fruits (the plant is also called “Pigeon Berry”) that are toxic if ingested. Uses: I’d use it as screen, or train it into a small attractive evergreen patio or container tree. I’m excited to have found more plants that are suitable for the drought resistant landscaping, and I look forward to using these when I need to give my xeriscape designs more punch. And there are quite a few more to cover – look for them in my next post. Lush yet water-wise – even with roses. Here’s how. “Drought tolerant”, “desert plant species”, “drought resistant landscaping” – that’s not for me, you might think: Giving up on your roses might be a thought too painful to contemplate. And what you have heard about xeriscape designs seems to be a lot of “zero-scape” to you… Roses are thirsty – aren’t they? 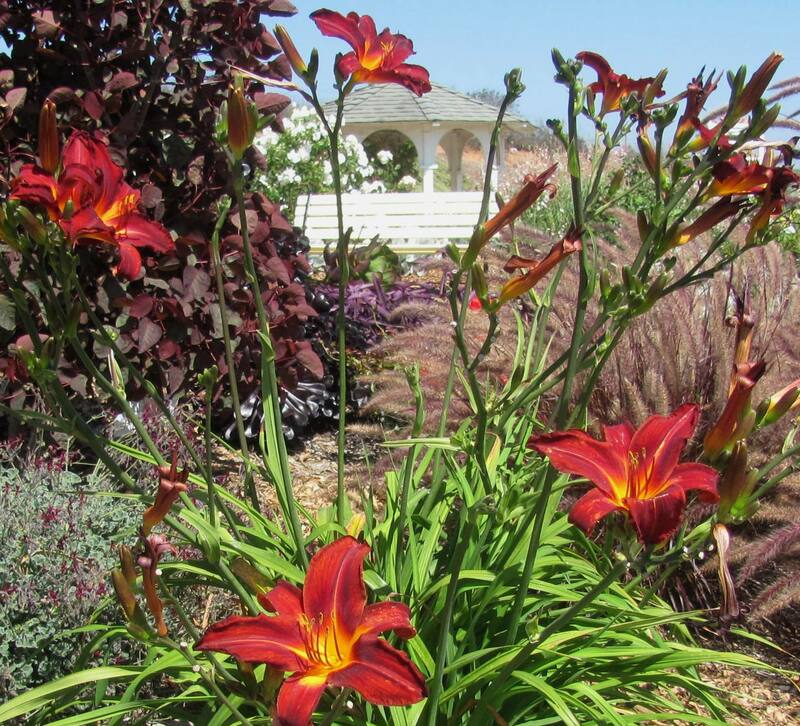 I noticed the water-drop symbol by the names of many roses at WATER WISE BOTANICALS in Escondido (formerly Daylily Hill). 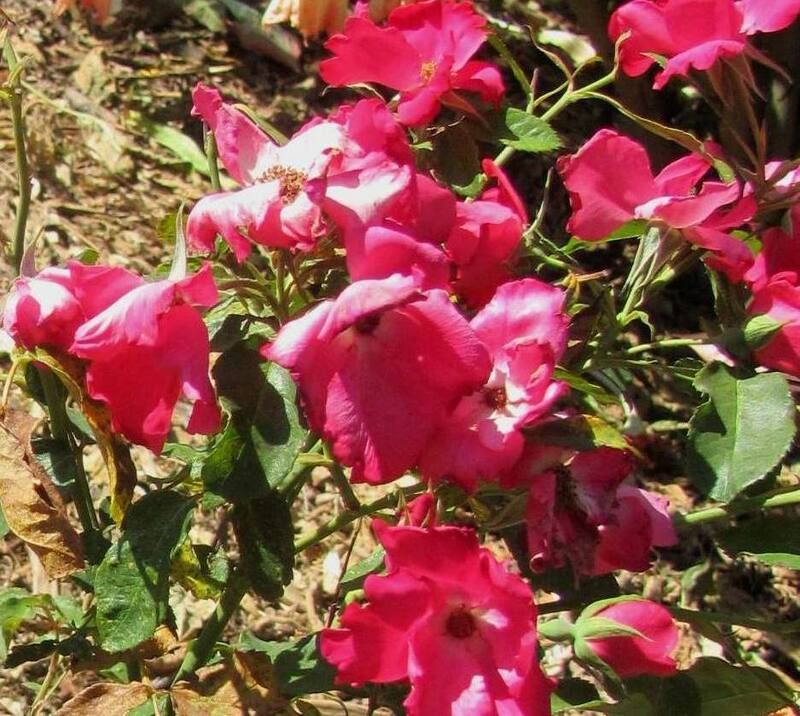 That meant that these are “water-wise” – what are these roses about? Tom Jesch of WaterWise Botanicals explained to me that we can indeed create a lush yet water-wise garden without depriving ourselves of these beauties. Have you ever noticed, along old highways in California, old abandoned farmhouses that still have a large rose bush clambering up its side? Nobody has cared for it in decades, and yet it still thriving. So what’s the secret? At Waterwise Botanicals, the roses with the water-drop symbol are the best of their shrub roses- those that flower the best, are most durable and the most water-wise. English and Austin roses tend to be less water-wise, as well as many of the older European, double and heavily petaled varieties, or ones that have a growth characteristic very similar to Hybrid Teas. For the first 2 weeks after planting: Water your roses almost every day, and deeply; thus they get their roots down deeply. 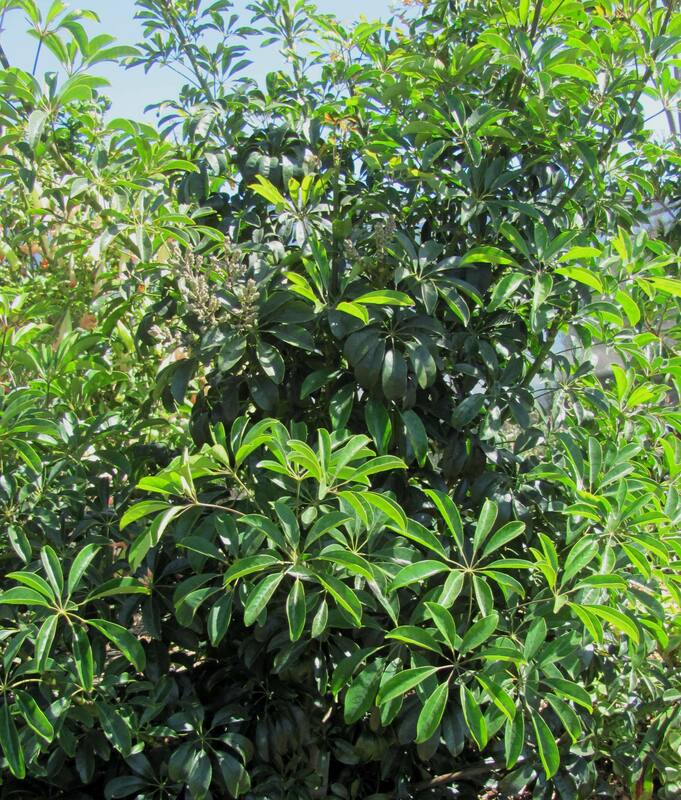 Add extra nitrogen fertilizer for the first 3-6 months to develop lush foliage. For the next weeks/lasting 2-3 months: Go to a deep watering schedule: 2 days on, 2 days off, 1 day on, 1 day off, and then repeat that cycle. It’s the repeated deep watering that gets the roots deep so that eventually the watering cycle can be stretched. After 2-3 months: Go to a cycle that is 2 days on (or 2 cycles on 1 day, 1 morning/1 evening), then 5-6 days off; repeat cycle. If you keep this schedule for the first 1-2 years (consider also how dry your weather is; wet winters speed up the establishment of your plants) you will have established roses that can do very well by receiving a good deep watering (two days in a row, or twice in one day) and then off, for up to 10 days or more, during the hottest part of the summer, in most California coastal, and coastal inland valleys. 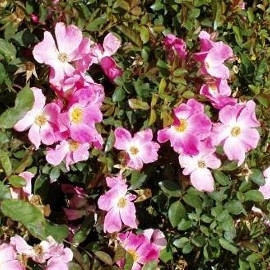 Rose Nearly Wild (see above); height 2’ by 3’ spread; hardy to -15° . Full to part sun. 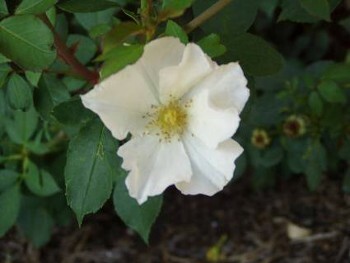 Rose pink, white center blooms during spring to fall. Rose Sharon’s Delight. Height 2′ , width 3′. Hardy to -15°; full to part sun. White blooms during spring to fall. 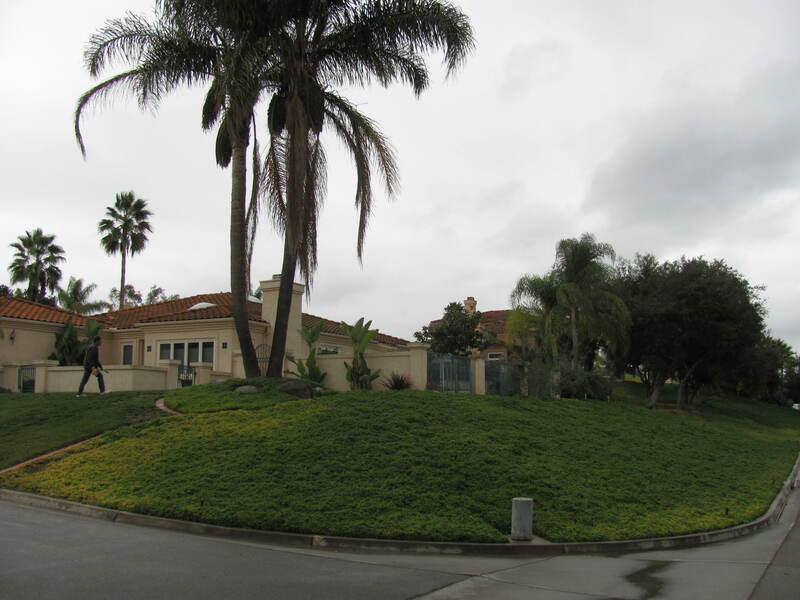 Achieving water savings and creating satisfying drought resistant landscaping are probably THE most important services I provide to homeowners. Feeling the pinch of an ever-increasing water bill, Liz and Rick were ready “to do something” about their conventional ice-plant expanse, and they contracted with Nature Designs Landscaping in Vista, CA, one of the landscaping companies in San Diego that are experts in drought resistant landscaping. I have worked with Steve Jacobs before on similar xeriscape designs. He felt that I would be a good fit for the naturalistic style and relaxed outdoor living that Liz and Rick prefer, as I share their interest in exceptional desert plant species that demand little maintenance. 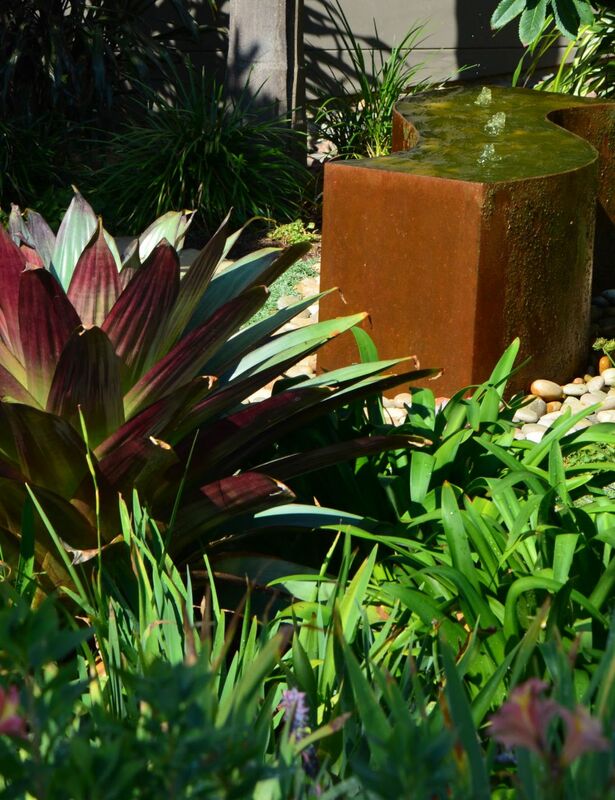 We agreed to create several related themes for this garden: The ‘Contemporary California Mix’ at the entrance has the most color but also interesting contrast of texture and form: Narrow-pointy blades of Kangaroo Paws, Daylilies and Evergold Sedge contrast with the rounded form and fleshy texture of such succulents as Cotyledon, Echeverias and Dudleyas. 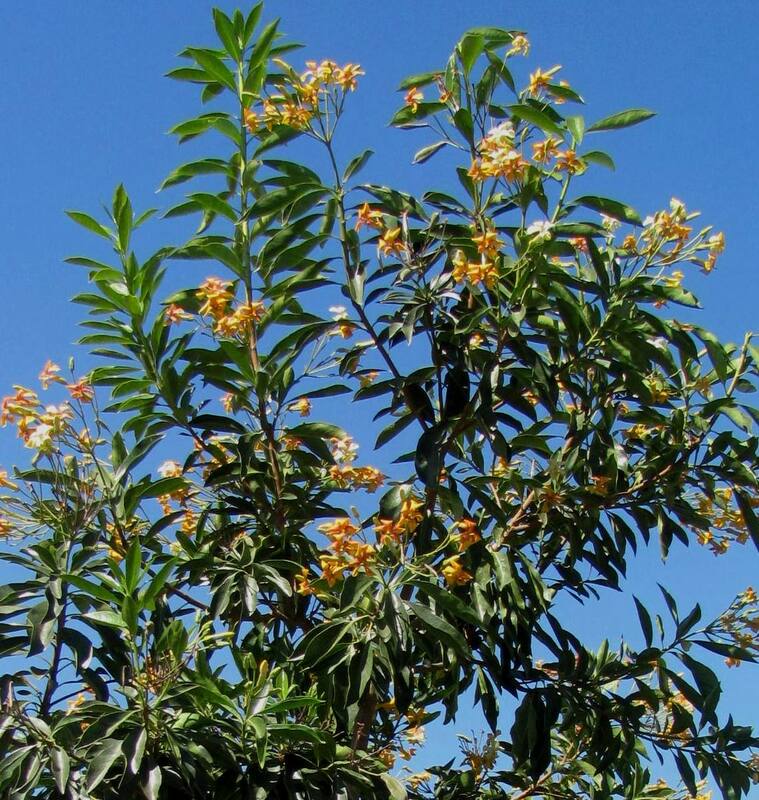 Feathery Cassia, Myrtle and Texas Ranger give structure; Strawberry Tree, Willow Wattle and Chitalpa create an overhead canopy and “anchor” the home. 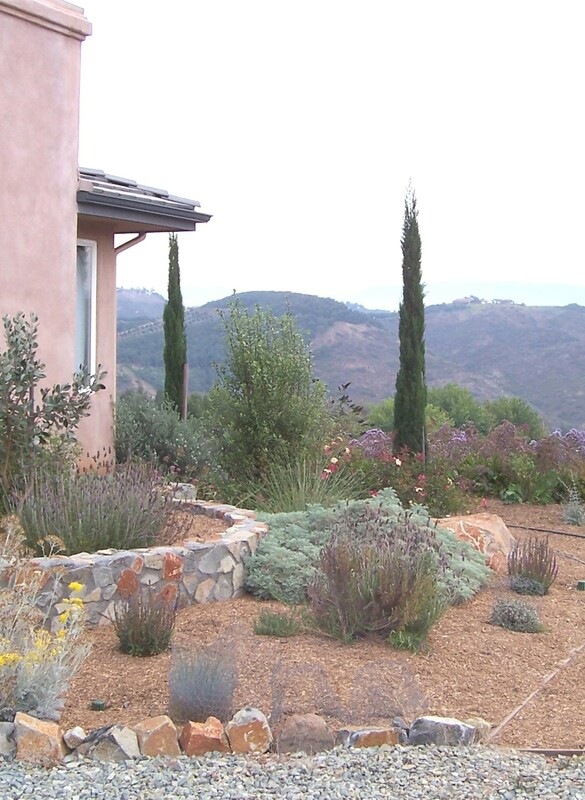 On the slopes farther away, we created a native California theme: Ceanothus and Mountain Mahoganies screen the pool garden; at the bottom of the slope grows a pretty mix of Bush Poppy, Sages, California Wild Rye, California Fuchsia and other perennials. 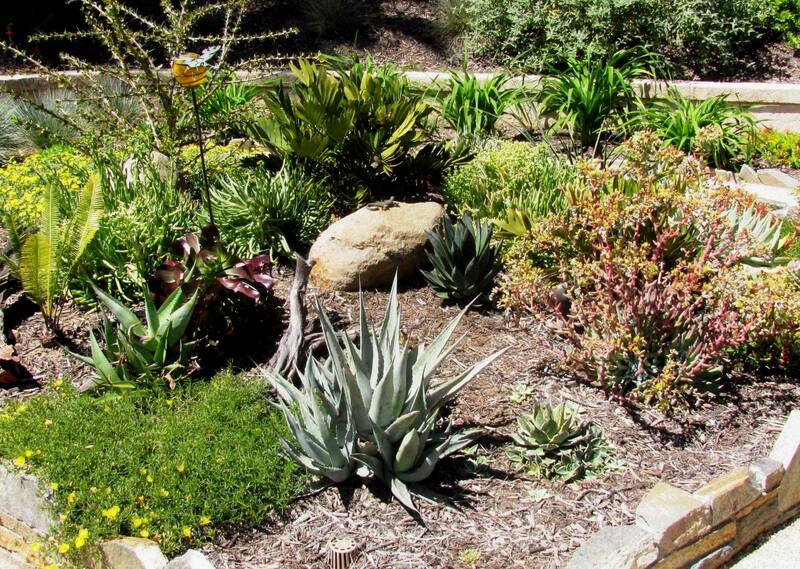 For Liz’s impressive collection of succulents and cacti that included Aloes, Agaves, an Ocotillo, Hesperaloe and a Zamia, I designed a “desert garden”, mounded it up and top-dressed it with attractive rock and gravel. It is placed in a large area in the back garden that had previously been lawn. Their south-west facing back garden also saw significant change: Here we placed four raised vegetable beds in a star-shaped arrangement, accessible on all sides on clean D(ecomposed) G(ranite). Many fruit trees also grow in this “production area” whose entrance is marked by an arbor. 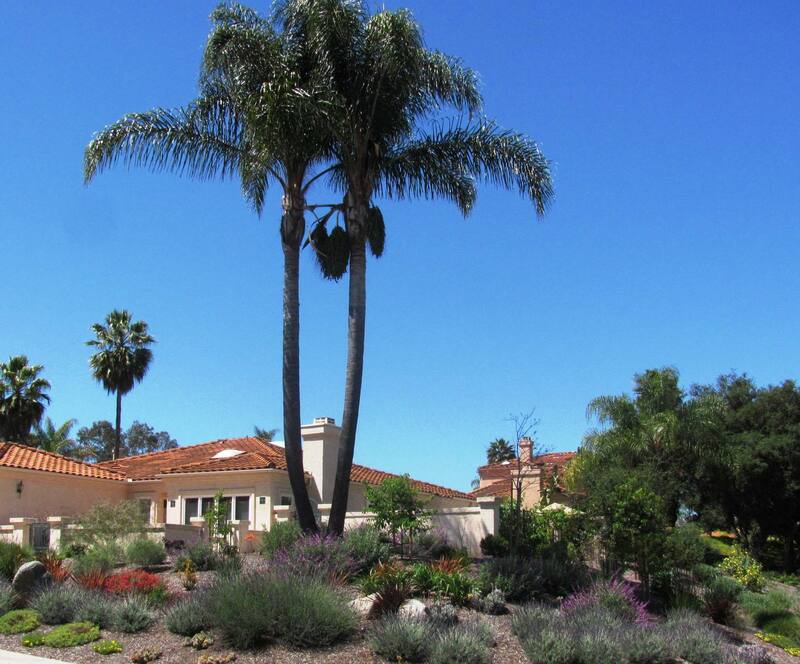 Collaborating with Liz and Rick and Nature Designs Landscaping was very satisfying because of our shared goals: Gain significant water savings; make this landscape fun to contemplate and a pleasure to live and garden in as Liz and Rick continue to add new plant finds. 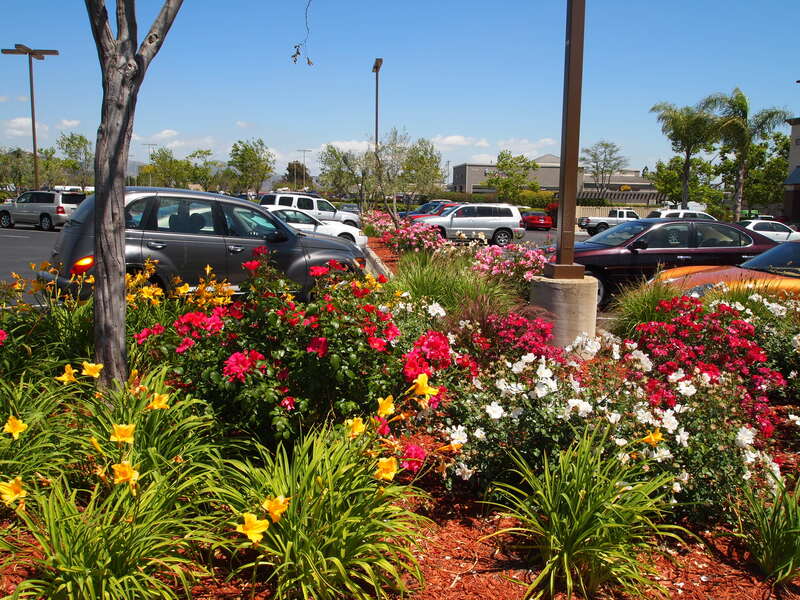 There are also more measurable signs of success: Since installation a year ago, the drought resistant plants have grown significantly, thanks to drip irrigation and several inches of mulch. In that time Liz and Rick have saved close to 60% compared to their previous year’s water consumption while enjoying edible pay-back in their vegetable garden. Nature Designs was honored with an achievement award at the recent California Landscape Contractors Association Annual Beautification Awards for this project, and I am grateful to share this honor as the designer.